You really want to make a writer happy — surprise her with an adorable picture of her lady couple in the middle of the night out of nowhere. Thanks, Yeaka! Shulamit and Aviva are characters from these novels. 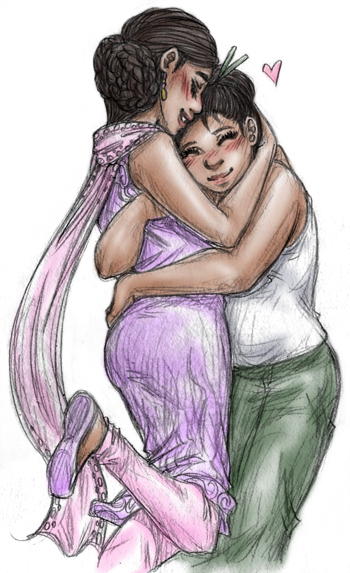 This entry was posted in Mangoverse and tagged fan art, femslash, lesbian, lesbian books, lesbian characters, lgbt, lgbtq, queer, qwoc, shoujo ai, yeaka. Bookmark the permalink.